Designed for law enforcement, correctional and customs use during screening or at checkpoints, the MobileTrace® Narcotics device detects all major classes of narcotics in seconds including opiates, cocaine- and amphetamine-based drugs. 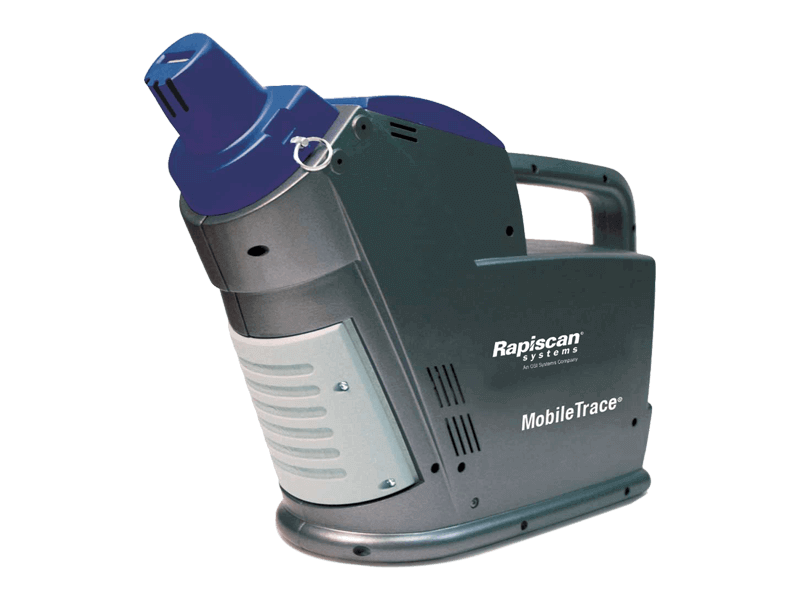 The MobileTrace® Narcotics includes Rapiscan® Systems tested and widely adopted ITMS™ technology with simplified sample results for non-technical users. The unit will give strong visual notifications of alarms, without the need for technical analysis. There are just two simple trigger buttons and a simple operating process via the color LCD touchscreen.